SCiO the world’s first affordable molecular sensor, that fits in the palm of your hand, passes $2.6 million in funding. Scan materials or physical objects, food, medicine, plants and more. Get instant relevant information to your smartphone. SCiO is a tiny spectrometer and allows you to get instant relevant information about the chemical make-up of just about anything around you, sent directly to your smartphone. The device actually uses a technology similar to the one that helps astronomers figure out the make-up of the stars — called spectroscopy. 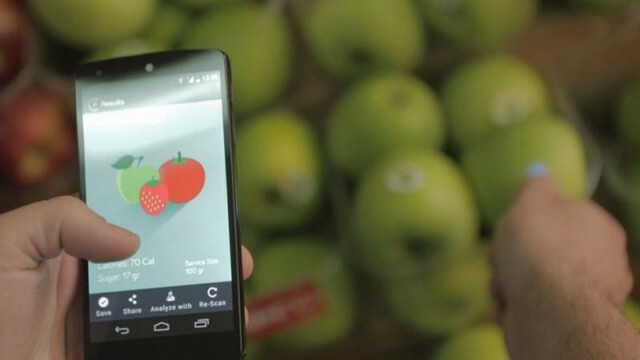 At first Scio will come with apps for analyzing food, medication and plants. Later, the company will add the ability to check cosmetics, clothes, flora, soil, jewels, precious stones, leather, rubber, oils, plastics and even human tissue or bodily fluids. Consumer Physics has already reached over four times its $200,000 goal, but you can still shell out $200 for an early-adopters kit. This is a technology to watch. As Scio gets smarter as more people use it — and perhaps someday finds its way directly into smartphones — it would add a new dimension to our understanding of the world around us. It could become an important means for connecting us to our physical world in ways we just can’t do today.